Today I have a card that is a little out of the normal for me. 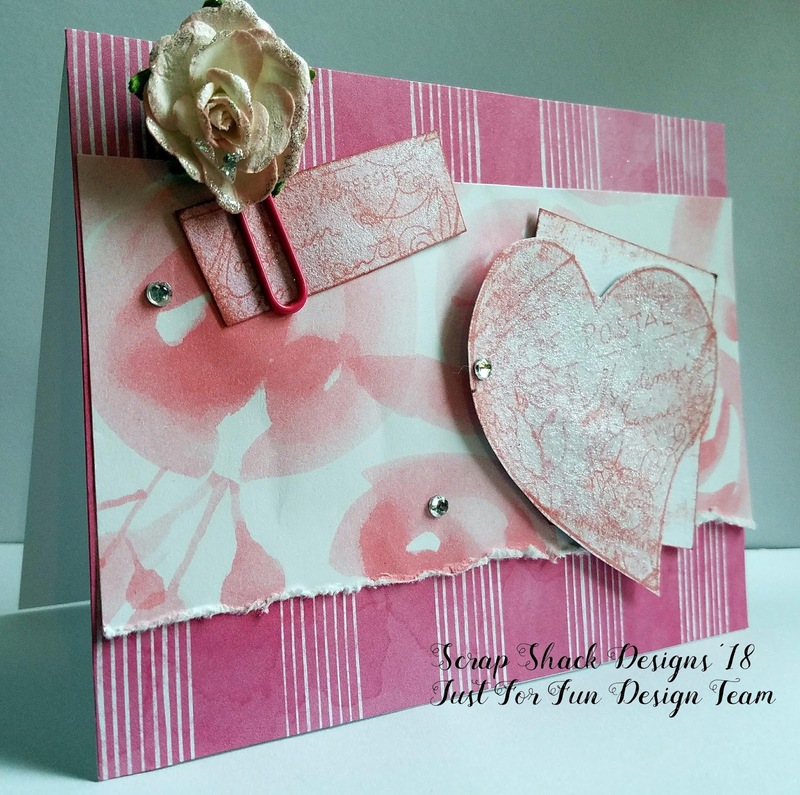 This card combines a really pretty pink along with some spectacular heart stamps and what could make that more romantic? How about adding some fabulous and fun French doodles onto those stamps!! Here take a look. 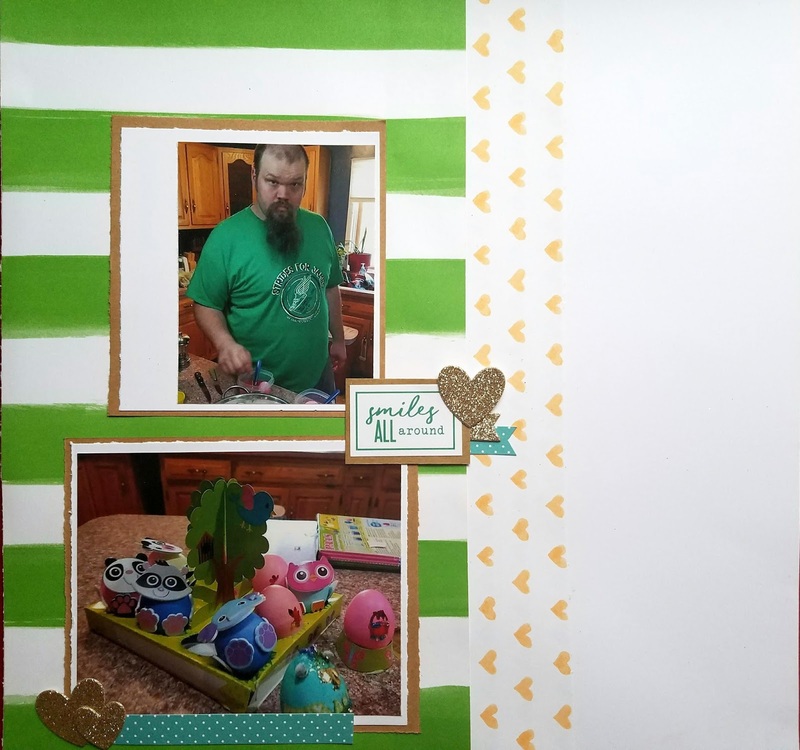 I started this card off by choosing a couple of different papers from the CTMH "Adventure" paper line. For the top paper I wanted to give a fem. grunge feel so I tore the bottom half and then used my edge distresser tool to push it a little farther. I then paired up that beautiful pink paper with the "French Postal Hearts" 2-sided stamp from Just For Fun. Here is a closer view of those stamped images. I first inked the stamp up using a "Smoothie" colored ink. I then took the whole ink pad and gently swiped it across the stamped image. 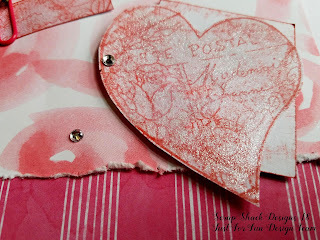 I then fussy cut out one whole heart and just a rectangle portion of the wording on the second stamp. When I was done I added some shimmer, using my clear shimmer brush, because hey it's pink already! I also took some scrap white paper and inked around the edges and layered that onto the back of my main heart. When I had all the paper laid down I embellished using Bitty Sparkles and a paper clip flower which I received from a swap partner. Thanks for stopping by today. I hope you enjoyed and were inspired to create something beautiful! I always feel a little lost when it comes to making cards in January. I'm not sure if it's because I am still burnout from all the holiday cards or perhaps it's simply because there are no solid card holidays in this month. 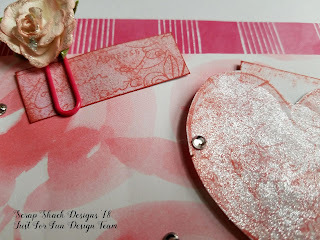 Who knows, but recently I have realized that January is a great month to make all of those miscellaneous cards, or perhaps to build up your stash for the long year ahead. Today is my day to post for the JFF design team so I decided to make a card that is very clean and really focuses on the beauty of Just For Fun stamps. 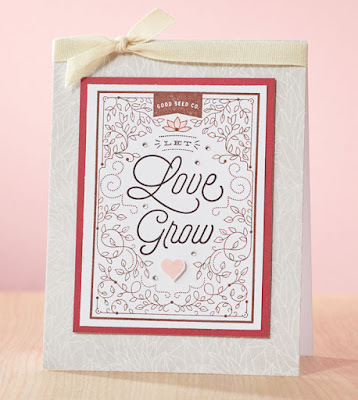 This card is made from a black base and features the American Beauties stamp. 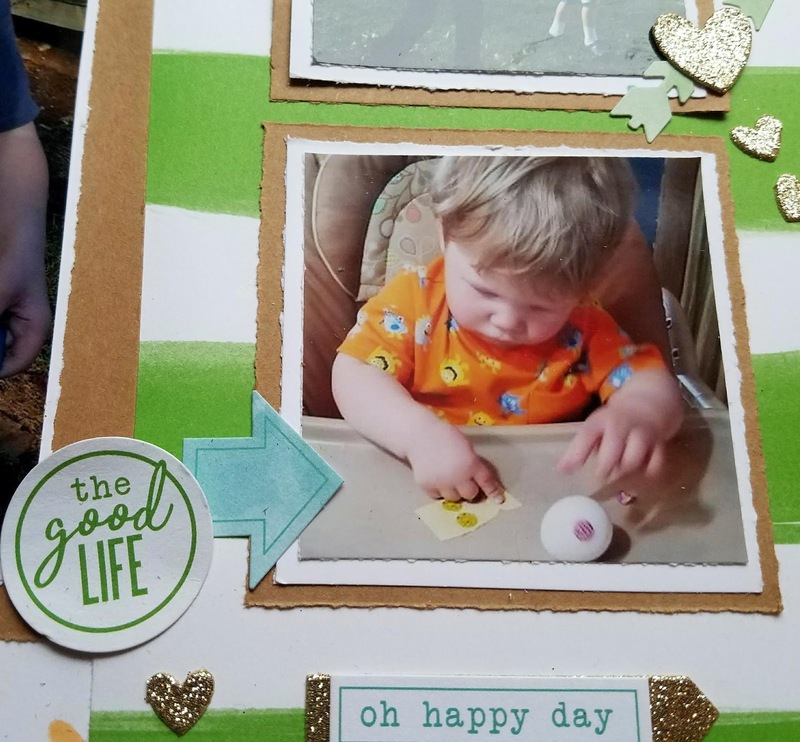 This stamp is large, gorgeous, and totally in charge! As with most JFF stamps you can really view all of those beautiful details that set these stamps apart from the rest. 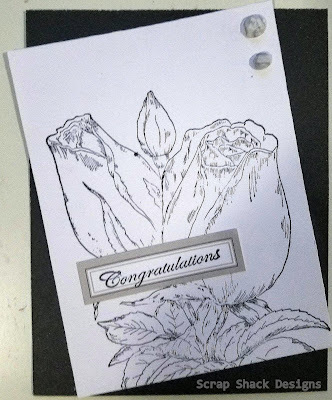 This stamp would have looked equally as nice if I decided to color it in, however for this card I wanted to keep it simple. For the card I used a black base with a white base title on top. I stamped the image straight onto the white paper, using a black archival ink. I then topped off the card with some marbled gems and a grey toned sentiment sticker both from our Chelsea Gardens line. 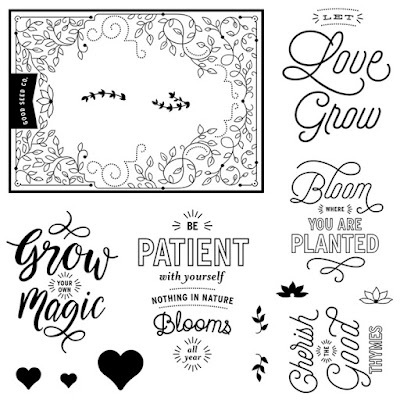 Another option for the sentiment would be to white emboss one of our sentiment stamps onto black cardstock. As always play around with your designs and see what works best for you. What types of cards do you focus on in January? Yes, even I get behind on Scrapbooking and Yes you did read that title correct it does say Spring/Easter Layout. 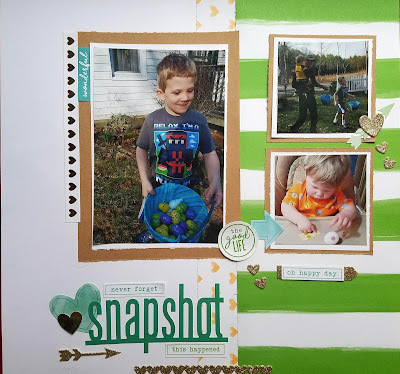 Trust me, being a northerner, I really do know that Spring is right around the corner and that's why I figured it would be a great time to Scrap a layout from last Easter...you know to warm it up a bit around here. Then the companion page on the Right. 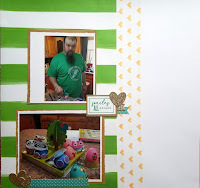 The top photo was supposed to have two smaller photos but I did not have an extra photo that I wanted to add so I increased the size of the mats slightly and then just centered my photo. 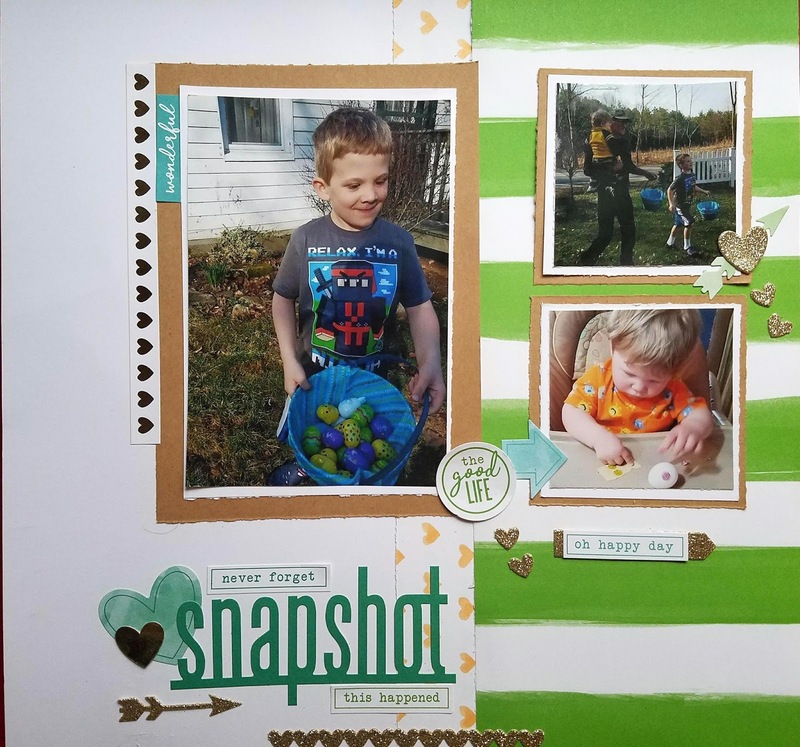 I am planning on adding some journalling perpendicular to the top photo and therefore I left a larger white border. Of course I love to see pictures of all of those details. I used the CTMH "Adventure" paper line which matched perfectly with the Happy Moments Complements. 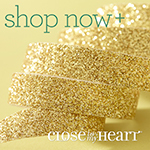 If you are interested in shopping my CTMH site you can find that here. We just released a whole new idea book so there are lots of wonderful goodies over there. Of course I had to capture the little man up close, this was the first Easter he could enjoy. We found that putting stickers onto the colored eggs were just as much fun. Then of course I had to get a close up of that title. 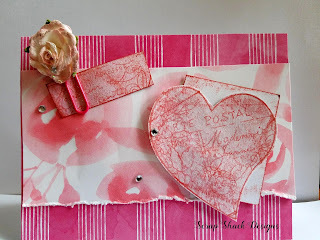 I love the soft watercolor feel of not only this paper line but also these complements. Thanks for stopping by today. I hope you were inspired to head out and get some of those old photos preserved. Happy New Year! I hope your New Year is off to an excellent start. 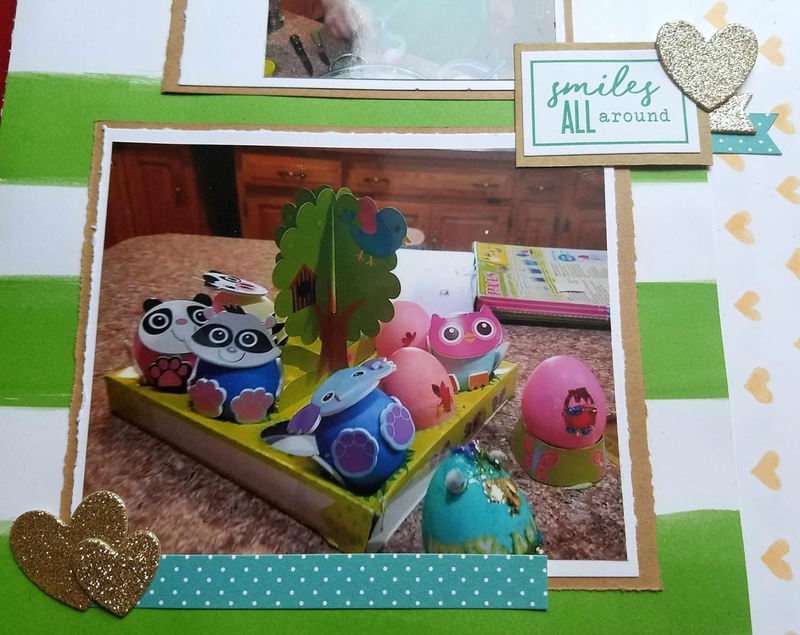 I am so excited to share the brand new Seasonal Expressions idea book which is valid now until April 2018. 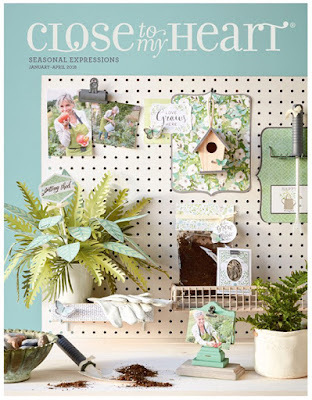 The brand new Spring Seasonal Expressions catalog is here! It is jam packed with tons of fabulous new products and filled with lots of incredible artwork inspiration. You can get a free copy with your next online order. You can also view it online here. Also, January is National Paper Crafting Month!!! 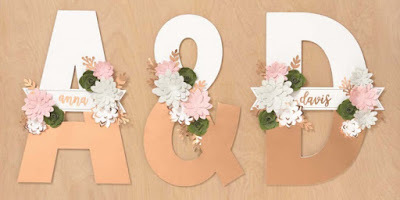 So of course we are celebrating that with a fabulous DIY monogram kit!! 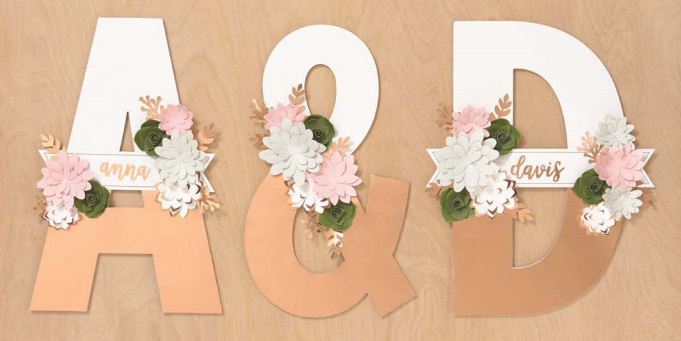 Kickstart the New Year with DIY home décor! 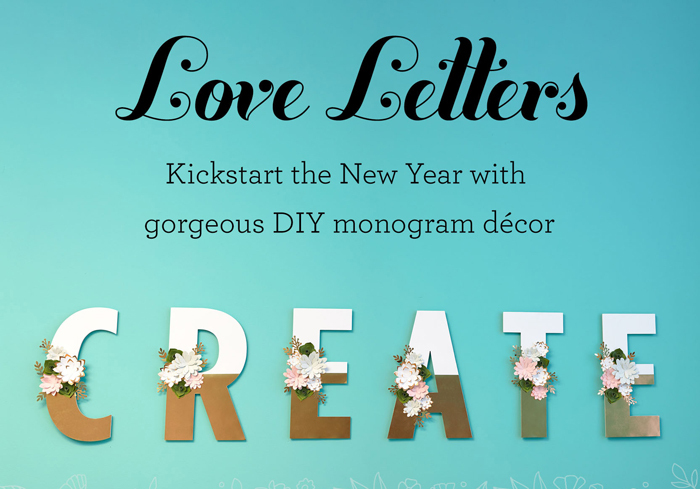 Create your own gorgeous monogram décor with our exclusive Love Letters kits, available only for National Papercrafting Month! These kits include everything you need to create a 12" high, beautiful décor piece using the letter—or letters—of your choice! 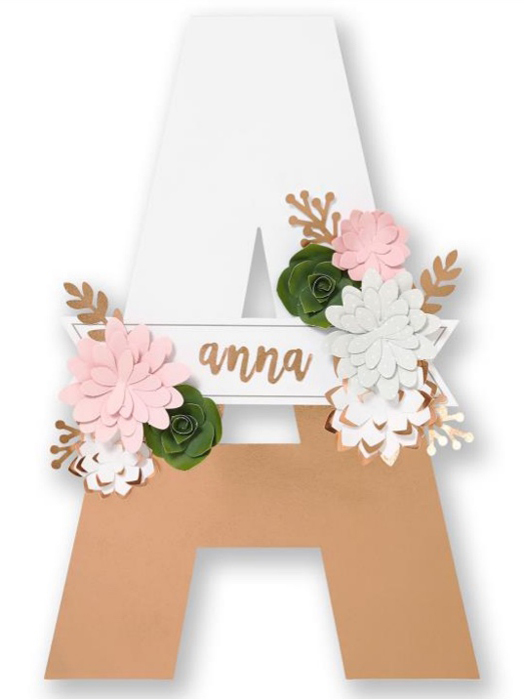 Each kit is only $18.95, Buy 5 get 1 Free, and they include a chipboard base, paper and rose - gold overlay piece, die cut florals, banners, and rose gold foil alphabet stickers to personalize even further. Buy 5 letter kits, get the sixth FREE! Sign up to become a Consultant and get a letter kit of your choice for FREE! 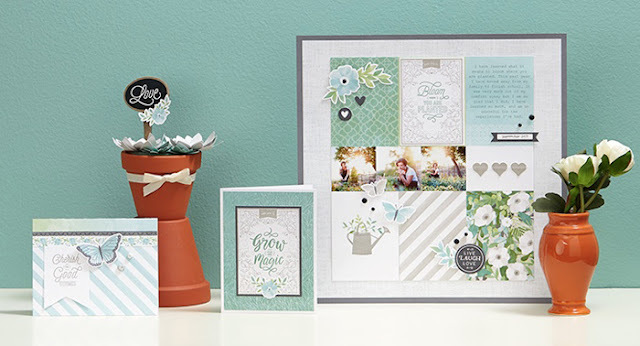 Host a qualifying party and get a letter kit of your choice for FREE! For Hostess: When you host a party in January that reaches the third level of Hostess Rewards or higher (submitting your party order no later than February 5, 2018), you’ll receive a FREE Love Letters Kit of your choice for free! Contact me for more info on scheduling an in-home party and/or setting up an online party. For New Consultants: Anyone who joins my team in January will receive a FREE Love Letters Kit of your choice in their New Consultant Kit — that’s an extra $18.95 value! Visit my New Consultant FAQ page for more info on becoming a Consultant. * Offer available January 1–31, 2018 while supplies last. *Stamp of the Month is only available January 1– 31, 2018. This month's SOTM is the perfect additional to our Featured Paper collection for the month of January, "Chelsea Gardens." This collection is sure to refresh your spirit with the cool colors and tranquil patterns. Some of the featured colors include Glacier, Juniper, Mink, & Sweet Leaf. 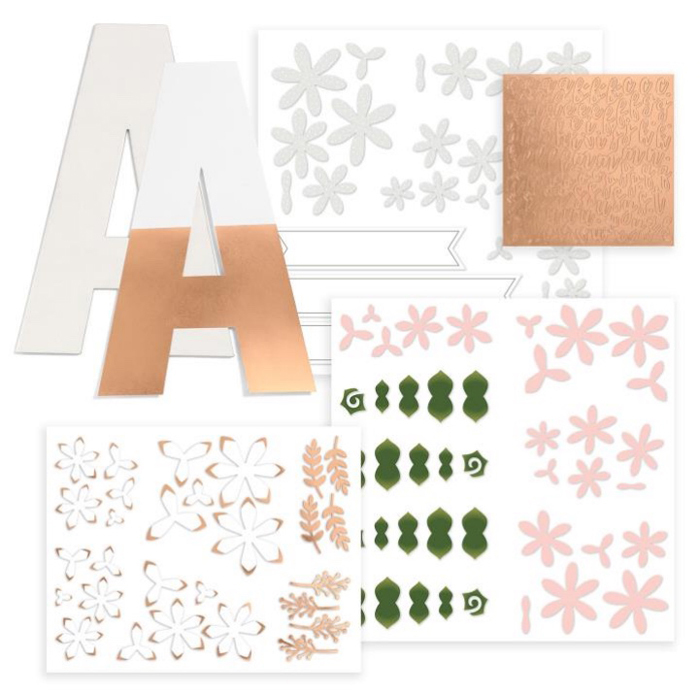 Of course I went ahead ahead and purchased the whole Scrapbooking Kit which features all the wonderful accessories from this line. We also have some great matching stamp sets, but again with the SOTM only being $5 it's in my opinion the way to go. 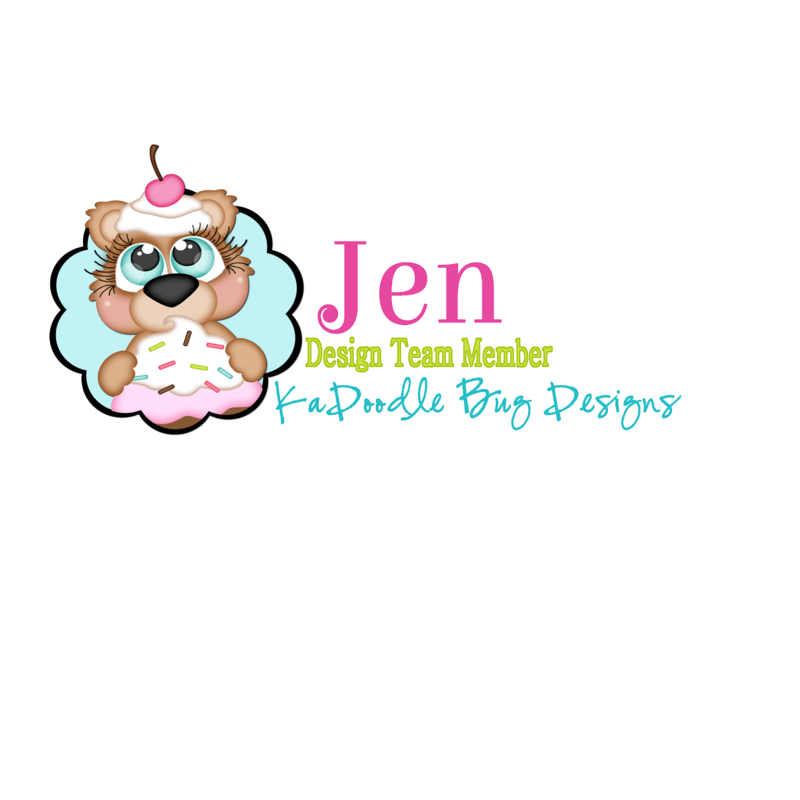 As with all of our feature paper collections, if you purchase the Scrapbooking Kit from me then you will also receive access to all of my video tutorials and live classes for the entire month. You will also be entered into our next mystery hostess drawing for your chance to win free products and exclusive Hostess only stamp sets. So what's included in this kit? We will be making a mini album, a scrapbooking layout, and at least 2 cards. Various other projects will also be made using left over pieces. You will also receive instructions on how to make the standard 3 double page layouts included in this kit.